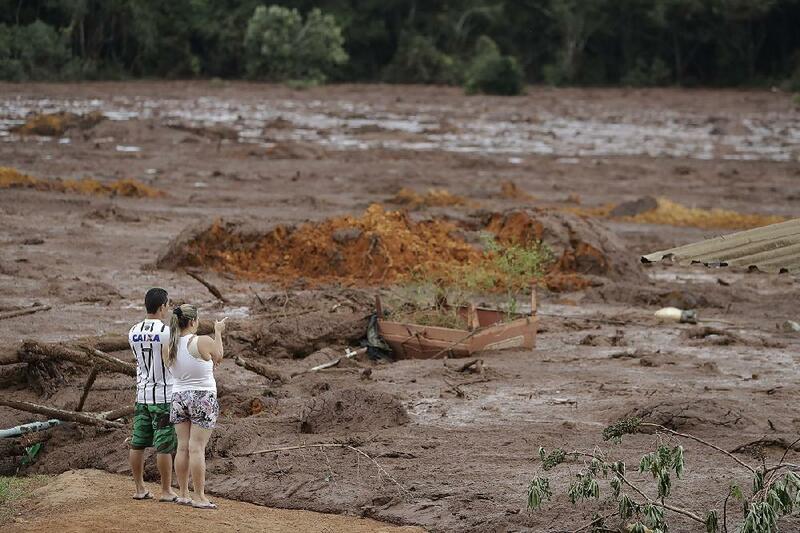 RIO DE JANEIRO, Jan. 29 (Xinhua) -- The death toll from last week's mining dam disaster in the Brazilian town of Brumadinho in the southeast state of Minas Gerais climbed to 84 on Tuesday, said local authorities. Half of the fatal victims have been identified, said Col. Evandro Borges, the state's head of civil defense, adding that the toll was likely to keep rising as 276 people are still unaccounted for. Rescue workers and volunteers have found 192 survivors since the iron-ore mine's tailings dam collapsed on Friday, releasing a sea of toxic waste that buried everything in its path under meters of mud. Most of the victims are employees of mining giant Vale, which owned the dam. About 100 workers were having lunch at the company's cafeteria located just below the dam when it burst. Rescue efforts have yet to locate the building, which may have been swept away by the mudslide, according to experts. The dam held at least 13 million cubic meters of industrial waste that is estimated to have spread over an area of 125 hectares.